WESTERN countries have started warming up to Zimbabwe’s calls for re-engagement with Britain, France and Germany expressing their eagerness to do business with the country in the aftermath of a free, fair and credible election, spelling a future filled with hope for the country, President Emmerson Mnangagwa said yesterday. Speaking to multitudes of people gathered at Lundi Primary School in Mapanzure, Zvishavane in his home area to celebrate his victory, the President said the three economic powerhouses of Europe finally endorsed the country’s elections whose outcome was decided by the Constitutional Court after the MDC Alliance refused defeat and have expressed interest to re-engage in line with his mantra of opening the country for business to whoever was serious. “France and Germany have sent ministers to congratulate us and they indicated that they want to re-engage with us. This shows that we are going in the right direction, it is an indicator that we are going to have a bright future as a country. The elections, he said, were observed by the EU, America, UN and other interested observers regionally and internationally and they endorsed the elections. 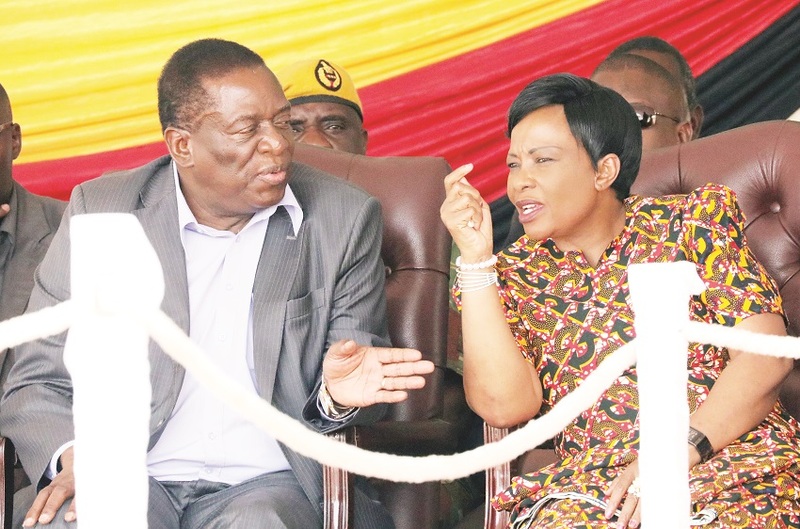 President Mnangagwa said now that the elections were done and dusted, the work ahead was that of getting the economy on track through opening lines for global capital to start trickling into the country. He said the country’s future was bright as his re-engagement efforts that he started last year had already started to pay dividends. “We now need to work so that both the economic and political reforms that we have put in place realise their fruits. We want to continue engaging with the world so that we get all the resources we need to build our country. So I invite everyone interested in assisting building this great nation to come forward and contribute,” he said. He added that global powerhouses like China and the European Union have stood ready to assist the country’s socio-economic transformation agenda that speaks to the spirit of the party’s manifesto. He said the endorsement of the elections by democratic institutions such as Sadc, the African Union and the EU gave the country the much-needed impetus and confidence to engage the international community for economic and political co-operation. He said so far the country had managed investment commitments worth US$16 billion, adding that it was a milestone that the country should be proud of as the amount was reached at in less than a year. The Head of State and Government also lauded the all weather cooperation between Zimbabwe and China saying after his inauguration he went to China with other African leaders for the Focac (Forum on China-Africa Co-operation) meeting. He said the Government was going to give farming inputs to 1,8 million households from the Command Agriculture Programme and the Presidential Input Scheme and urged those that are going to benefit not to sale the inputs saying if they do so they were going to be arrested. President Mnangagwa added that in light of the need to empower women and youths, the Government set up the Women and Youths Banks from where the two groups can access loans. He added that the Government was serious about setting up irrigation programmes so that there was not going to be food security issues in the country. The President pointed out that the Command Agriculture and Economic clusters of the country were now under the supervision of Vice President Rtd General Constantino Chiwenga.